The National Health Insurance (NHI) system has yet to be fully implemented. Its premise is the seemingly noble plan to ensure all South Africans are provided with essential quality health care, regardless of who they are, poor or rich. Its premise is that the need of one person gives them the right to something someone else must produce or purchase for them on their behalf: healthcare. Enforced care between people is not noble. While the premise of the NHI is devoid of moral grounding, its practical effects will mean that medical innovation will be stifled, health care costs will increase and those who are poorer will have no alternative but to go to poor-performing, ill-equipped facilities for care – they will be directed to do so. Whenever the government takes control of a sector or industry, costs rise and innovation is stifled. Resources will become more strained, and then it will be up to the state to decide who receives what level of healthcare. What better way to get a few votes than to promise people that their healthcare needs will be looked after, at no cost to them? Government continues to ignore the warning signs – the perilous state of the economy, low growth and massive unemployment. 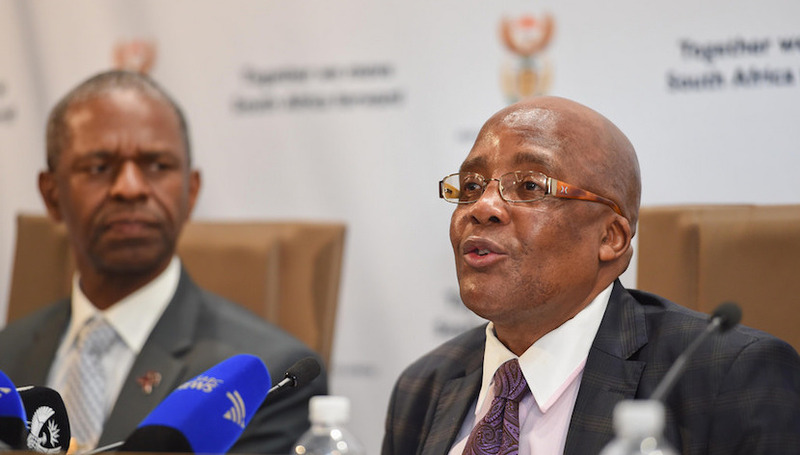 The NHI will add yet another notch on the expenditure side of the national budget. The Constitution of South Africa enshrines your right to access to health care. Does this right place a moral obligation on someone else to give up what they have for you? Does this right over ride another person’s right to use his property, his wealth, his life as he deems best? The right to access to health care, stipulated in the Constitution could have a meaning other than what is generally ascribed. It could mean that government must not adopt any policy or take any action that interferes with your right to access the health care of your choice. The standard of protecting individual rights ought to be the standard by which we judge any new government initiative, not a shallow appeal to an authority. You cannot have a right to what someone else has produced. On the Department of Health’s website, we are told that the NHI “will offer all South Africans and legal residents access to a defined package of comprehensive health services”. Are the services defined? No, this is left blank. Are we told how cases will be prioritised so that when Peter needs an expensive medical treatment but Paul claims that his suffering is greater, whose treatment will be provided first? Again, this is a blank. Who funds everything the government does? We do. Thus there has never been, nor can there ever be, anything such as free health care. Someone has to build the hospitals and someone has to perform the surgeries, and while government may be seen to be providing these things, it is, in actual fact, the country’s people who are, because they are the ones paying for it. The standard of morality in anything should be the individual and his right to his own life. Anything that intrudes upon that must be resisted because every transgression and atrocity will eventuate when we abandon that right. All the elements involved in health care have to be produced by someone – its political currency right now does not mean that we should just throw individual rights out of the window. The altruist in you can be as strong as possible. The Department of Health and indeed the entire government may well contain the world’s next Mother Teresa, but wanting people to care for each other becomes morally defunct when you use government to enforce that care. Charity at the point of a gun is not charity. As soon as anyone, including the state, uses force to compel another person to give up their resources, we are no longer in the realm of what can be considered moral. If South Africans believe that altruism, that placing another person’s needs above your own is the standard of morality, then it ought to be done voluntarily – government force negates any possible claim to morality. As the state gains more control of our health care, NHI and beyond, we will all suffer equally.